Are you thinking about travelling to Spain? As many guidebooks will show, it is a land filled with breathtaking sights and experiences that are bound to ensure an excellent holiday. There are also a number of more unusual, less known alternatives that are bound to have you super excited out by the end of your trip. Thus, if you are more of the adventurous tourist and you are tired of the same old tourist guides. 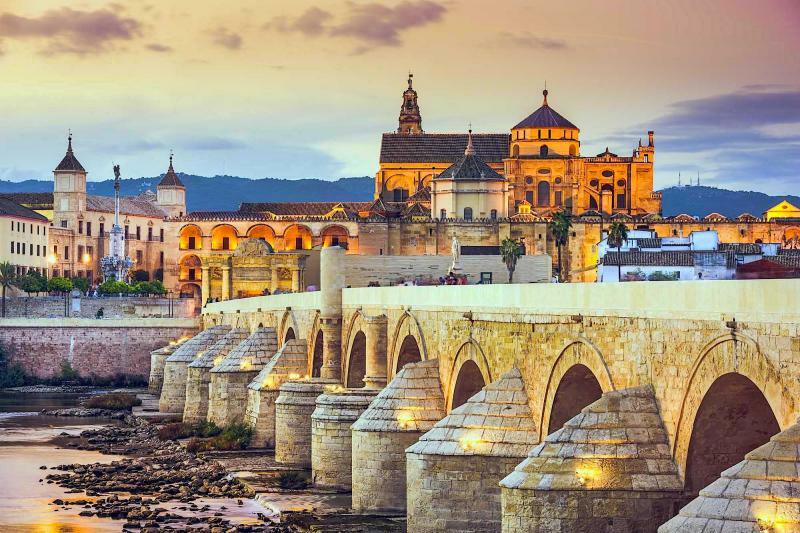 Then read on, for here are 10 suggestions that will make for an exciting Spanish itinerary! Go Clubbing in Ibiza – Visit one or two of the magnificent clubs in Ibiza. Better yet, take a week and visit one of the seven main clubs in Ibiza each night. Prepare yourself though, you will be in for full nights of partying from sundown to sunrise and your feet will dance until they can’t any longer! There’s a reason why they made a song about Ibiza’s party scene. You simply must experience it. Arts & Culture – A visit to Spain will expose you to the vast art and cultural wealth the land has to offer. If you want to keep close to the cities, Bilbao’s Guggenheim Museum is a great choice. Other than the wealth of art it houses within, the daring structure itself is a work of art built from glass, titanium and stone and it only complements the city’s contrasts. The Reina Sofia Museum might be a weaker comparison, but it is home to one of Picasso’s greatest works, “The Guernica.” If you want arts and culture, Spain has it in plenty in almost every city, town or region. Make sure you take in as much as you can. Tomato Fighting – There’s an annual tomato fighting festival every August in Valencia. Yes, “La Tormatina” and no, it is not people fighting tomatoes. Rather, its people fighting with tomatoes against each other. It is a strange festival but over 30,000 semi-naked people gather each year to fight with tomatoes annually before being washed down by fire truck hoses courtesy of the local fire brigade. It is truly an experience you must be part of really! World Heritage Sites – Spain has over 35 world heritage sites. In flagging these sites, the UNESCO World Heritage Committee hopes to preserve locations that bear great cultural and natural significance for future generations to inherit. Challenge yourself to visit all of them. Breathtaking Views – Spain offers various views and experiences that are simply to die for. Driving the N340 highway will have you so close to the Moroccan coast you will want to reach out and touch it. Additionally, while there, get atop the piste and have a whole some view of Granada. It is equally breathtaking. Whether or not you are a soccer fan, you will want to experience the thrill of being in a soccer stadium packed to capacity with close to 100,000 madly passionate and loud fans. Fc Barcelona’s “Nou Camp” is the largest stadium in Spain and the second largest in Europe at 99,354 seating capacity. Fc Real Madrid’s Santiago Bernabeu, with 81,044 seats is a little smaller but equally worth a visit. Both will offer you a rush action packed experience at watching some of the elite players in action first-hand. The Seville Fair – It is an open secret that Spaniards love to party and they do it well. One need on further proof than the Seville Fair. It is the nation’s liveliest, biggest and most exiting party. If you are about to take a trip to Spain, consider visiting the fair as it is seven full days of unadulterated, pure fun! Surf and Snowboard – Are you into extreme sports? Well you are in luck, Spain has enough unique natural landscape to fulfill your quests. You can finally have a go riding Guernika’s Biscay Swell in the Billabong pro and cross it of your bucket list. Alternatively, you can take on snowboarding in the Sierra Nevada, get to experience the adrenaline rush of moving down a mountain at neck-breaking speeds. The Alhambra – When you visit Spain, ensure you get to view the Alhambra at sunset. It is the most incredible and lasting legacy of Moorish Spain; definitely worth hundreds of visits. However, if you want to understand why the Moorish dynasty considered the Alhambra their physical manifestation of paradise, view it from atop St. Nicholas Square at sundown. True to its majesty, the Alhambra, in all its ancient wonder radiates a golden glow against a stunning backdrop of the snow-capped peaks of the Sierra Nevada. The scene is seriously moving thus be prepared as you might even get a wee bit emotional. Try Local Cuisines – Drink some “Rioja” while in La Rioja and have some Sherry while in Jerez too. Often, this would comprise sufficient experience of the local drinks but the food is equally worthwhile. For this reason, get to sample Madrid’s Tapas and wine tasting tour while in town. Barcelona also offers small group cooking classes which can have you showing off your skills Spanish cuisine in no time. Spain is unlike other destinations. It offers a blend of diverse and breathtaking natural scenery, elegant levels of of synergy between ancient and modern architecture, arts and culture, fun, fascination, fantastic cuisine, sea, sand, sun and sangria. One of the best things to do there is simply hire a car or a motorbike and drive around and see where the road takes you ! All this combines effortlessly with its beautiful and warm people to create such variety and spice for you that you cannot experience anywhere else.